Why Do We Have Inspiration Heroes? Harriet Tubman photo via Wikimedia. In my continuing series on inspiration as a form of heroism, I want to talk about why we need inspiration heroes. The greatest heroes are those who sacrifice themselves for others; why then do we have these lesser inspiration heroes at all? I think there are several reasons. The first one has been covered in detail by my readers and commenters: it’s because they’re relatable. Being willing to risk your own wellbeing for the sake of a greater good is a lofty goal, and the heroes who we recognize for doing this—I’ll continue to use Martin Luther King, Jr. as an example—can seem impossible to measure up to. Our other heroes inspire us in what seem to be more “doable” ways, striving to improve ourselves in a personal development sense whether that be better morally, more true to ourselves, or more talented. These heroes help us make real changes for the better when the great heroes seem far away. These inspiration heroes also reflect the fact that we have many values, many forms of good to seek. The hero who makes a selfless sacrifice reflects one virtue we should strive for—but not the only one. What about pursuing excellence in one’s art or profession? What about being calm and kind and mature? What about seeking knowledge, or a sense of inner rectitude? These are all virtues that most of us aspire to, to some degree or another. Heroes are people who have made impressive strides toward any of these goals, strides so great that we think of them as remarkably impressive. It makes sense that we seek heroes who represent all of our aspirations, not just one. So inspiration heroism gives us exemplars who meet two important needs. We need heroes who represent a variety of values, and we need them to seem relatable. That paints a fairly positive picture of inspiration as heroism. But there’s a third reason we have inspiration heroes and it’s not quite as attractive. I think a major reason why people refer to inspirational figures as heroes is that most of us don’t know about many of the great, self-sacrificing heroes. We can all name a few of them. Nelson Mandela, Gandhi, the aforementioned MLK. But unless studying heroism is your hobby, you might run out of names before you run out of fingers to count them on. Most people don’t know about Janusz Korczak or Chiune Sugihara or Rick Rescorla. Pretty soon we start to think of fictional characters, or…. ….or the people who inspire us in smaller ways. If you describe the life of someone who was heroic in the grand, selfless sense, no one fails to recognize it. But that doesn’t mean we’re awash in examples. It’s not just that it’s rare, it’s that it’s not a subject most of us are acquainted with. For me, Harriet Tubman is a good example. She may be the most heroic individual I’ve ever heard of. I worship Harriet Tubman. Yet Harriet Tubman was willing to give up that glory. She decided she had to go back and help other slaves reach freedom as well. She forayed into the South no less than thirteen times over eight years, saving seventy slaves—despite the constant threat of death and a growing bounty on her head. She displayed ruthless leadership on the Underground Railroad and as a result she never lost anyone under her care. She went on to work as a Union spy in the Civil War. This is such a clear example of heroic behavior that I can’t help but feel a sense of awe. 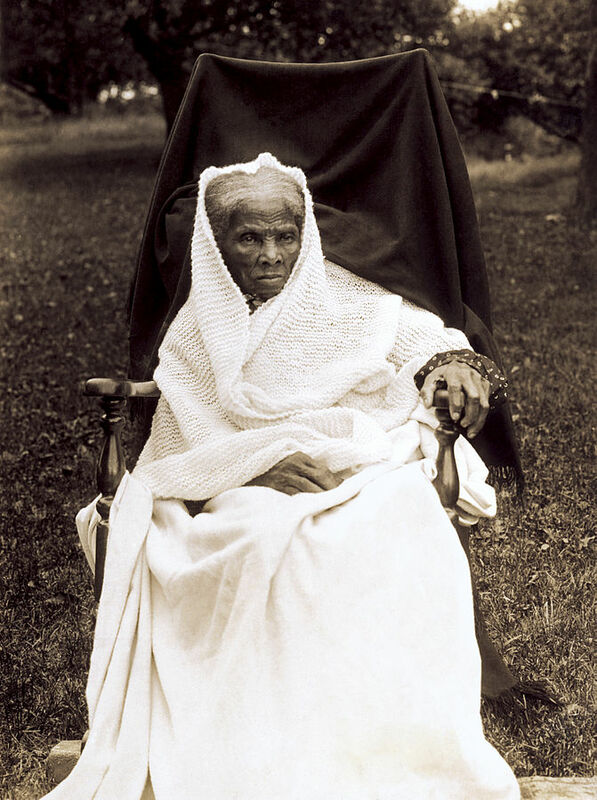 When I see Tubman’s picture I put my hand over my heart in salute. Hers is a moral courage that looms large over all of us. But growing up I knew nothing about her. I saw her face and name every year during Black History Month, but we never spent much time on her. History classes just don’t focus in that much on individual heroes. And yet Tubman is just one of thousands of historic heroes who displayed this kind of selfless bravery. My ignorance about Harriet Tubman may be unusual. Other people might have grown up knowing her story inside and out. But I don’t think it’s unusual at all to be under-educated about historic heroes. It’s not part of our pop culture and it’s not part of our school curriculum. Most of us can only name a few. And that, I think, is why so many people focus on the celebrities and athletes or mentors and grandparents who inspire them. These are people whose stories we know. If your grandfather inspired you to be a better person, you know exactly how and why. That’s not necessarily the case with Korczak. In other words, if we want to increase the amount of selfless heroism in the world, which we all should, the answer is not to knock down people’s celebrity inspirational figures; those heroes are doing a valuable job. The answer is to teach, over and over, the stories of the even greater heroes to whom we should all aspire. ← Can Two Different Theories of Heroism Work Together? If there isn’t already a book of the world’s great historical heroes, then there should be. “The Hero Field Guide, Vol. 1” by Matt Langdon. Fully illustrated and aimed at kids. 16 historic heroes that represent different forms of heroism. I highly recommend it, available on Amazon now. More are forthcoming.